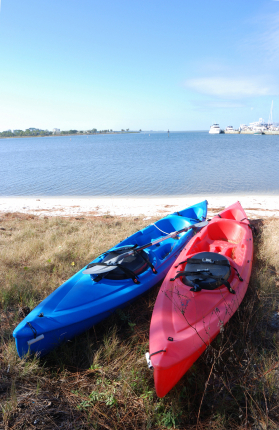 Kayaking enthusiasts of all skill levels will certainly find just what they’re looking for at Wrightsville Beach. For ocean kayakers, the pristine waters of the Atlantic are easily accessible from the island’s 4-mile stretch of beach. Donning a wetsuit is a great way to take advantage of wintertime swells and enjoy the less crowded months. With plenty of sandy beach breaks, Wrightsville is an ideal spot for surf kayakers to hone their skills. Another perk that ocean kayaking provides is the chance to see some amazing wildlife, including dolphins, sea turtles and a huge variety of seabirds. Nature lovers know that the inland waterways and marshy areas that surround the island are some of the best places to experience true tranquility. There can be plenty of boat traffic during the summer, however, a kayak makes it very easy to explore places that are completely inaccessible to power boats. Kayaks equipped with extra storage space for a picnic, waterproof camera, sunscreen, and perhaps a small fishing rod ensure hours of fun. Checking out Wrightsville Beach real estate is also a nice kayaking activity. As you paddle by and dream a while, you may stumble upon a new listing! Yet another favorite pastime among local kayakers is silently cruising through the sailboat anchorage at Banks Channel. In the fall, it is full of boats from around the world making their way south. Unless you have the right to use to a private residence with water access, there are only a few places to put in a kayak. The public boat ramp is the best, and it is to the left of the drawbridge after you drive onto the island. Parking is free and there is no fee to use the ramp. Be aware that the parking lot fills up quickly on busy summer weekends. Another place to put in is the public dock on Waynick Blvd. It is just to the right after you cross the Causeway Bridge. You may also carry your vessel and paddle out from the beach. 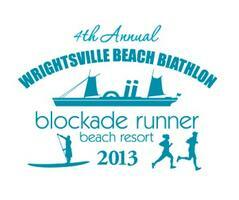 From March 1st through October 31st, it is $2 per hour to park at Wrightsville Beach. Anyone planning on surf kayaking will need to pay attention to the surf zones that are enforced on the beach from Memorial Day though Labor Day. Whether you sign on with a guide or not, make sure to have a PFD, a hat, sunscreen and a few bottles of water. Watershoes are also a good idea since you could encounter oyster shells. The team of agents at Hardee Hunt and Williams has been ranked #1 in the "Top Five Agents" list by Wrightsville Beach Magazine for the fourth consecutive year. Hardee Hunt and Williams listed twenty eight Wrightsville Beach properties in 2012 and sold eleven. Their total combined list and sold properties was more than double that of the nearest competitor. Wrightsville Beach, N.C., February 2013 - Hardee Hunt and Williams is a boutique real estate agency dedicated to helping clients buy and sell property in Wrightsville Beach, Landfall, and Figure Eight Island, North Carolina. For the fourth consecutive year, Team Hardee Hunt and Williams was ranked #1 in a list of the Top Real Estate Agents for Wrightsville Beach in a feature published by Wrightsville Beach Magazine. They were also ranked the third best selling team in New Hanover County. Hardee Hunt and Williams listed 28 properties in Wrightsville Beach and sold 11 for a combined list and sold total of 39, more than twice the total of the nearest competitor in Wrightsville Beach. They achieved $37.5 million in sales, of which $32.65 million were Wrightsville Beach sales. In the feature article, Broker-in-Charge Randy Williams comments: "Twenty twelve was a year of realistic sellers and optimistic buyers. The sellers got in sync with the market pricewise and the buyers realized that 'bottom feeding' in most cases was not going to get them a house at Wrightsville Beach." 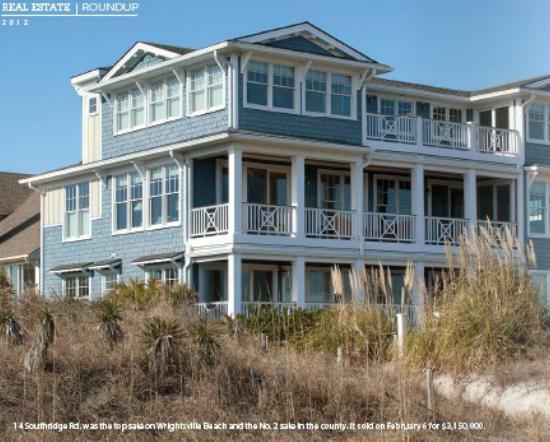 Real estate sales in Wrightsville Beach in 2012 were up more than 47 percent over 2011. Hardee Hunt and Williams is a unique real estate agency in that clients work with the entire team rather than with just one agent. The team consists of Jim Hardee, Ronnie Hunt, Randy Williams & Ace Cofer. They have extensive experience, knowledge, and personal history with Wrightsville Beach and offer their clients outstanding service and advice. To find properties for sale in Wrightsville Beach and to learn more about Hardee Hunt and Williams, visit http://www.hardeehuntandwilliams.com. 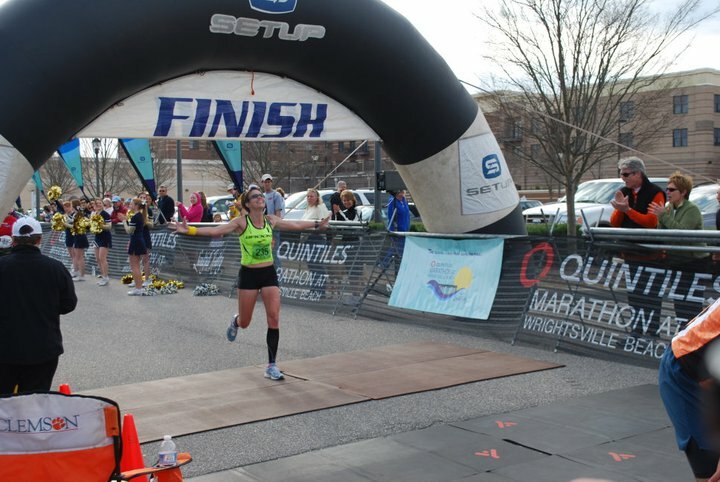 Runners from around the southeast are gearing up for the Quintiles Wrightsville Beach Marathon, which will take place on Sunday, March 17th, 2013. The action-packed weekend gets underway on Friday, March 15th. That’s when registered runners can pick up their race packets at the Mayfaire Events Field from 4pm until 8pm. If you can’t make it there on Friday, packet pickup has also been scheduled for Saturday the 16th from 11am until 6pm at the same location. Please note that friends or family members are allowed to collect your registration materials if neither of those times work. Just be aware that on Sunday-Race Day, no packets will be distributed, so make arrangements prior to the 17th. The real festivities will begin on Saturday morning at 8:45am with Eli’s 1 Mile Fun Run. Event organizers are pleased to announce that on Saturday evening, they have added a 5K race, which will get underway at 5pm at the Mayfaire Events Field. Following the 5K, the Wrightsville Beach Marathon Pasta Dinner will be held just adjacent to the race Finish Line in Mayfaire Town Center. The serious challenges begin on Sunday morning at 6:15am, when the first race starts. The next starting waves will be at 6:30am and 6:45am. It should be noted that this event is a qualifying race for the Boston Marathon and is USATF sanctioned. Friends and family will be pleased to know that this year, they will have access to the “Living Tracker,” so they can check their runner’s progress. If you or someone you know is interested in participating, be aware that the marathon is capped at 800 participants and the half marathon is capped at 2200. By the end of December, the marathon was over half full and Saturday night’s WBM Pasta Dinner was already completely sold out. Well-known runner Dave McGillivray, will be the guest speaker at Saturday night’s dinner. 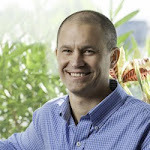 Over the years, he has raised thousands of dollars running thousands of miles for charity. He also has the distinction of running the 1982 Boston Marathon while blindfolded, to raise money for the Carroll Center for the Blind.